Turn left onto the “Northern Highway”. This is a little different (easier) than going through Belize City. It will probably add about 10 minutes to your drive, but will make the drive a lot easier to manage. You will proceed North for only about 10 minutes. Go west on the Western Highway. 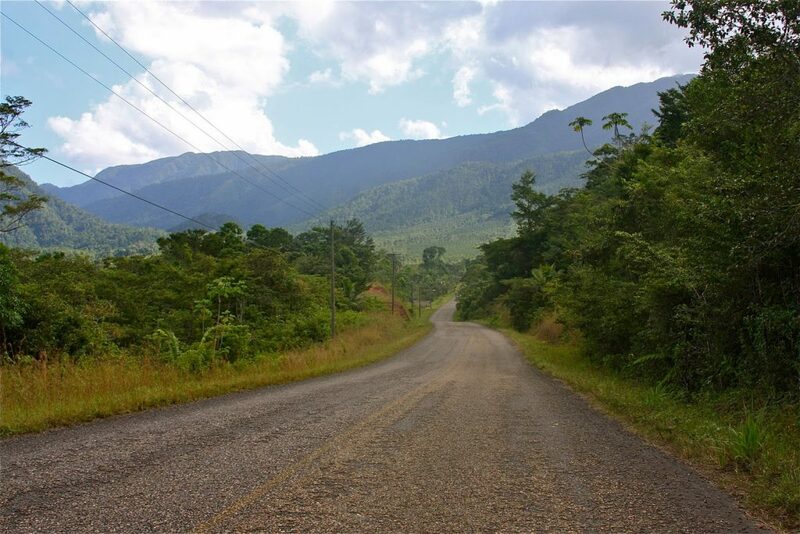 Follow the Western Highway past the Belize Zoo all of the way to Belmopan and the Hummingbird Highway. You will now be on the Hummingbird Highway. This is by far the prettiest part of the drive. You will wind through hills and towns, up and over bluffs, and through the Mayan Mountains. Be careful of narrow one lane bridges along this highway. Follow the Peninsula Road all of the way through Seine Bight, past Roberts Grove, the Airstrip. We are about ¼ mile south of the airstrip on the left-hand side of the road. The office is at the roadside next to the restaurant.